Talk of opportunity in pro wrestling often rings hollow. Vince McMahon talks about millennials and the need to grab brass rings and it all sounds fine until you realize that it means absolutely nothing. WWE will push who they want to push and no amount of brass ring grabbing is going to change that. Daniel Bryan serves as a prime example of that unfortunate reality. As far as I am aware, CMLL does far less yapping about young wrestlers needing to seize opportunities, but their track record of pushing wrestlers who put in an effort to rise above the rest is just as spotty as WWE’s track record. So while there is no guarantee that Dragon Lee and Kamaitachi’s performances in their mask match at CMLL’s Homenaje de Dos Leyendas is going to provide them with increased visibility, it will certainly not be for lack of effort. It is clear in watching this match that Dragon Lee and Kamaitachi were well aware of the major opportunity they were given and were going to do everything in their power to make the most out of it. They wrestled an insane match with big time high spots and a cut-throat pace that will likely rival any match from 2015 to those ends. If making the most of an opportunity for a young wrestler means leaving everything he has in the ring, then these two certainly made for the most of this one. The feud between the youngest of Toro Blanco’s three luchadore sons and the young New Japan wrestler was marked by high intensity and a noticeable level of physicality. That is to say, Dragon Lee and Kamaitachi routinely tried to kill each other and themselves. The blow off match was no different. The two went at it right away, working stiffly and throwing in enough dangerous looking moves to fill up an entire card. Dragon Lee’s rollover German suplexes that won him the first fall had a ton of impact behind them and looked very cool. The first two falls were short – as tends to be the case – but were not in any way dull. There was not even an obligatory attempt at submissions or mat work in any of the falls. I am not sure that is a positive but it is not exactly a negative either. Their in-ring rivalry was never about that sort of work and cutting it out altogether felt like an understandable choice. The third fall was where the show was at. There were a half dozen dives/flying moves to the floor. Dragon Lee and Kamaitachi pulled off the fence hopping apron-to-floor hurricanrana perhaps as flawlessly as it has been done. Maybe it was just the camera angle, but the move looked as good if not better than anytime Mascara Dorada has used it. Kamaitachi’s picture perfect high back bump in particular looked as good as I have seen. The bump is the hardest part of that move in some ways and Kamaitachi handled it perfectly. While both luchadores came to the ring with a full slate of high quality offense, they were less prepared when it came to bridging the gaps in-between those moves. The third fall was almost entirely one big move after another. They struggled on occasion to get to the next spot and other times, they simply went right into the next move without any sort of bridge. Even a move heavy match like Mascara Dorada vs. La Sombra from this year’s FantasticaMania flowed from move to move in some manner. At times during the bout, they simply hit one spot and then got themselves into position for the next. 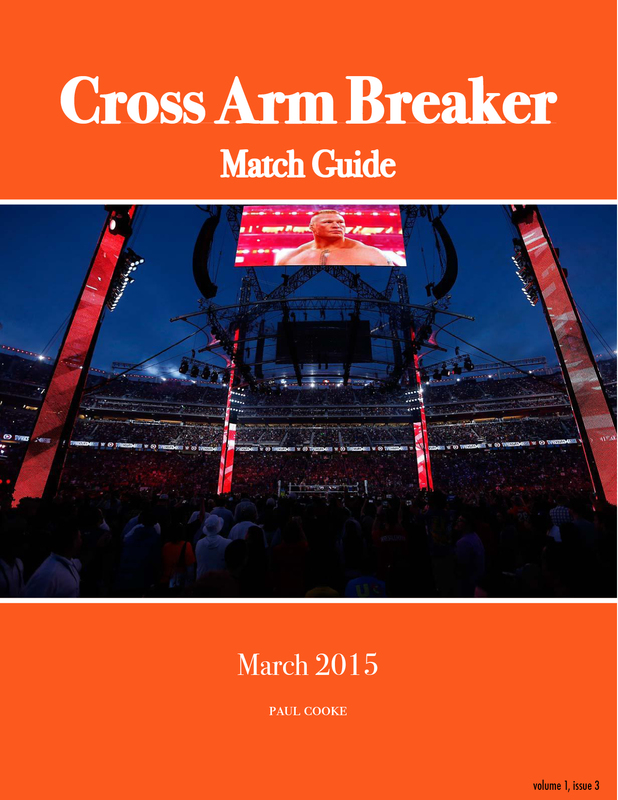 It was not a fatal flaw by any means but the match was disjointed at times as a result. The match also seemed to lose a bit of steam before the finish and might have been better served wrapping up a few near falls earlier. The one thing that is for sure is that nobody can accuse Dragon Lee and Kamaitachi of not leaving it all in the ring and attempting to make the most from their opportunity. As said, I will be surprised if we see another match in 2015 where the wrestlers put in as much effort as these two did here. They put on a show of big times moves and fast paced, physical action. The execution on the moves was there, even if the flow was lacking a bit. Most importantly, the crowd appeared completely enthralled with the bout and 100% behind Dragon Lee. Dragon Lee has done his part. He has shown to be a hardworking, quality luchadore who the fans are willing to get behind. He has seized his opportunity. Now it is time for CMLL to make good on their end of the deal. To absolutely nobody’s surprise, Kamaitachi lost the match and his mask. The next New Japan wrestler to journey to CMLL as part of his excursion would be wise to avoid getting involved in any apuesta matches. That never works out well for them. Kamaitachi was unmasked as Hiromu Takahashi which was also in no way a surprise. The reckless abandon that Takahashi showed both in this match and throughout the entire feud could potentially serve him well when he returns to Japan. The New Japan junior division is in desperate need of a spark. The CMLL luchadores generally get over in Japan in because of their tendency to throw caution to wind. If Kamaitachi can bring those same elements back with him to Japan – the big back bumps and overall high impact offense – he will almost certainly stand out amongst the junior heavyweight pack. As for Dragon Lee, the sky appears to be the limit. He has proven himself a quality worker not only in all-out matches like this one but also in his strong title match versus Virus from late last year. He is way over in Arena Mexico which is not an easy accomplishment for a young tecnico these days. As previously stated, the ball is now in CMLL’s court. The promotion has already begun to tease a title re-match with Virus which is a good start. One would assume that getting a re-match so soon after the initial match would make Dragon Lee a favorite to end Virus’ lengthy Lightweight title reign. For anybody out there who wants to see two young guys – warts and all – grab the bull by the horn and give all they can give, then this is the match to watch. The match had its fair share of problems, but there is no denying the effort that was put into it. 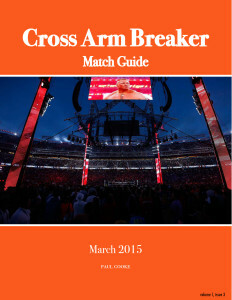 March Match Guide Out Now!